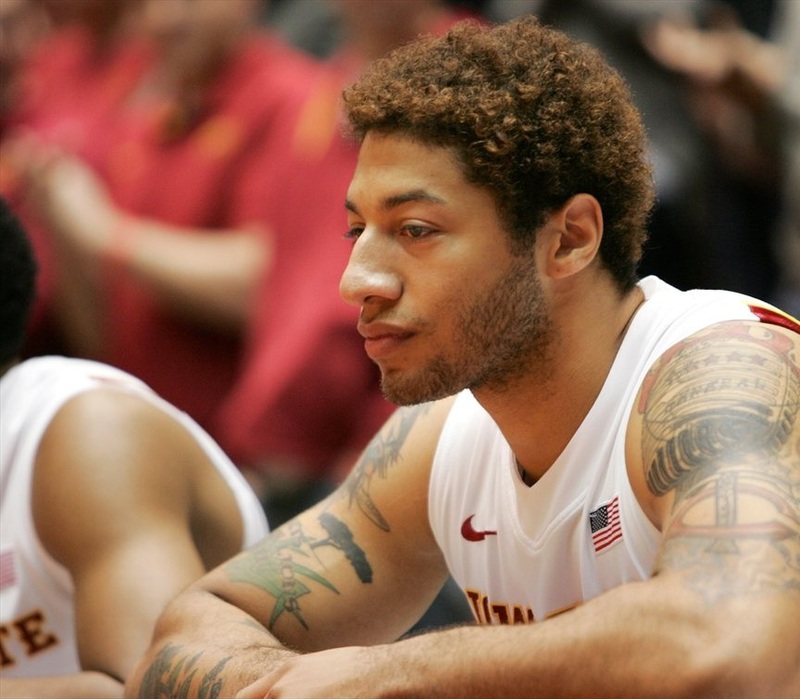 Royce White remains enigmatic, and Houston GM Daryl Morey seems to believe that laying claim to the “worst first-round pick ever” is a point of pride. The YMCA league all-star continues to frustrate and perplex fans and the media, even two years after his last competitive basketball game. Elsewhere, Carmelo Anthony scores 62 at Madison Square Garden, showing that he’s probably tired of losing, and the basketball-viewing public should take time to appreciate the excellent generation of players we are able to see on a nightly basis right now. It may never happen quite like this again. In related news, the New York Knicks do not have a draft pick until 2018, presumably because James Dolan is the league’s biggest power hitter. He only swings for the fence. 2. Carmelo Anthony scores 62 against the Charlotte Bobcats, setting a Madison Square Garden and New York Knicks franchise record: It was all a dream. On January 24, Carmelo Anthony woke up feeling special and went on to hit 23-of-35, including a weirdly technical half-court shot as time expired in the second quarter, for 62 points, thus breaking Bernard King’s Knicks record (60 points) and Kobe Bryant’s Madison Square Garden record (61 points) in one fell swoop. It was a display of supreme basketball prowess, with Anthony at the absolute peak of his sublime scoring ability. For a single night, at least, the Knicks’ deference to Anthony as an iso-heavy behemoth who creates ridiculous mismatches when playing power forward paid off in dividends. Anthony’s recent surge has coincided with the Knicks’ resurgence in the Eastern Conference, where weakness is a strength. With Mike Woodson being forced into playing small-ball, two point guard lineups, the Knicks are creating the kinds of spaces and shot opportunities they did in the 54-win season a year ago. With J.R. Smith actually getting back to playing basketball, and the Jeremy Tyler coming out party, the Knicks may be hitting their stride at just the right time to capitalize not only through a playoff run but also in the Carmelo Anthony free agent sweepstakes, which, despite what his wife may say, carries on until Melo makes a decision. 3. If you want to view paradise, simply look around and view it: In light of Carmelo’s 62-point performance, as well as the KD-LeBron show earlier this week, we should take a moment to appreciate the incredible basketball we are seeing from this generation of players. From those three to others in their primes, like Kevin Love, Blake Griffin, LaMarcus Aldridge, James Harden, Dwyane Wade, Chris Paul, Roy Hibbert, Russell Westbrook and Tony Parker, to the old guard, like Kobe Bryant, Tim Duncan and Dirk Nowitzki, on down to the electrifying youth, such as Damian Lillard, Steph Curry, Kawhi Leonard, Paul George, Kyrie Irving and Anthony Davis, we may never get as consistently high a level of basketball per night as we have right now. On any given night, watching any game has elements of excitement and wonder, and we must be careful not to become spoiled when we see Durant put up 33 to LeBron’s 34, answering 12 points in 12 minutes with 12 points in twelve minutes. This is where the NBA is as a league, and, for better or for worse, we owe a lot of that to David Stern’s reign as commissioner, which ends tomorrow. For every Derrick Rose injury, there is an equal and opposite Terrence Ross scoring 51 for the Raptors. This, as they say, is where amazing happens, each and every night.